Each week in our For the Good of the World series we want to introduce a Faithful Practice that will enable us to be a faithful presence in the world. This week’s faithful practice is Daily Surrender. 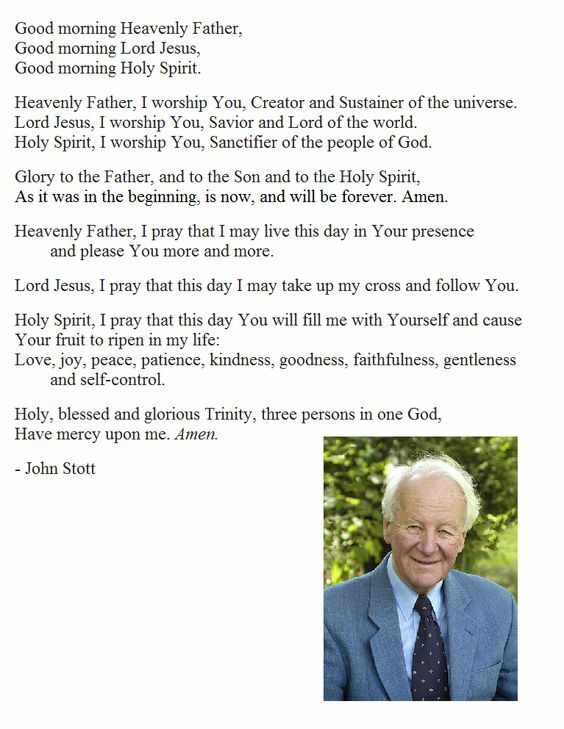 This is not simply your daily bible reading and prayer time, though it certainly can be part of that. This is a daily, deliberate, decision to die to yourself, and invite God’s Spirit to fill you and lead you that day. 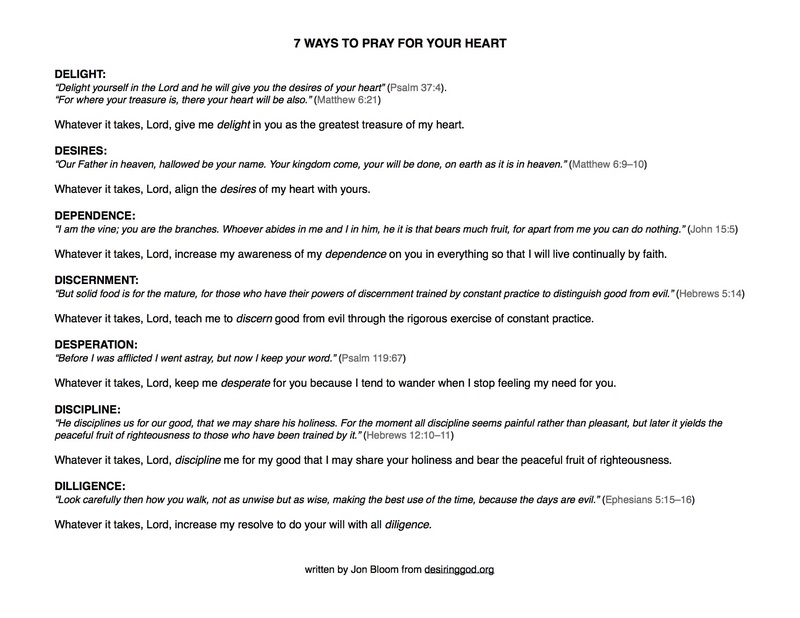 Below you will see two of the prayers we featured during last Sunday’s worship service – John Stott’s morning prayer and 7 Ways to Pray for Your Heart. You could also write your own prayer, or make it spontaneous each day. The important thing is to mark a daily moment of surrender to the work of the Spirit.